However, there are some ways to stand out and get hired faster. 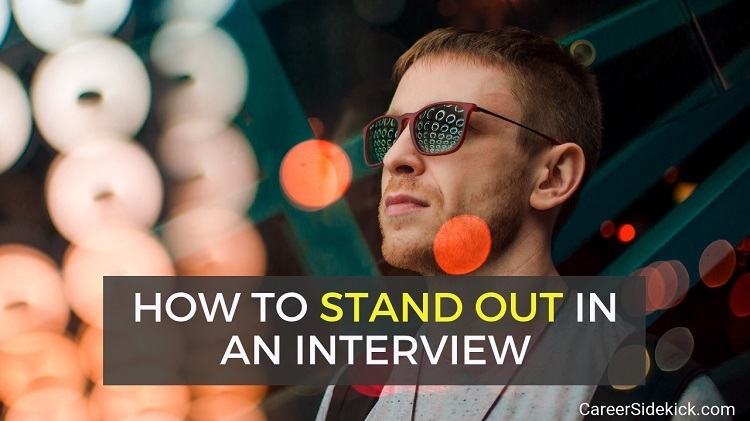 I’m going to share 8 tips for how to stand out in an interview and make employers want to offer you the job, even if you’re not the most qualified candidate. Most people research the company enough to “get by” or not embarrass themselves. But if you really want to stand out, make it your goal to know more about the company than anyone else they’ve spoken to! Read some recent news stories. Read their company history. Why were they founded, when, and by whom? How many locations do they have? What do they sell, and who are their customers? How are they different than their competitors? 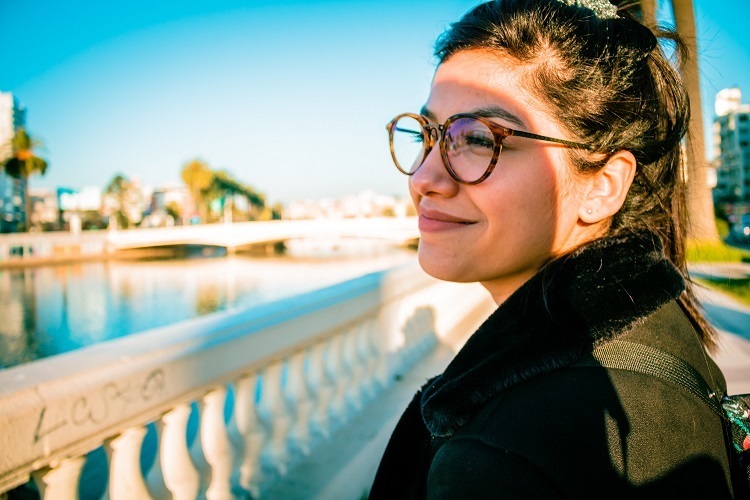 Doing this extra research will make you more seem more confident, and make you feel more comfortable in your interview – especially in the first few minutes when you’re making that all-important first impression! Most people talk in very general terms… both when describing their past work and when talking about what they’d accomplish in a new position. Don’t do this. You want to stand out, remember? So instead, talk about specific results. If they ask about your past work, talk about the actual results you achieved. What was the impact? Be ready to name specific facts and data. How did you help your past company save money, save time, or make money? How did you make your manager’s life easier? This new hiring manager is definitely going to want to hire someone who will make his or her life easier, too. So this is a great thing to show! To continue on the last idea, if you really want to stand out you should consider coming up with detailed examples, and measurable results, and putting them into a case study to show what you’ve done in the past. What were one or two big projects you completed for your last employer? If you just graduated and are looking for your first job after college, what projects or internships did you complete in school? Go ask your former boss or colleagues if you need help gathering details and results of your work. Is it easy? No. But it’s how to stand out and get the best jobs out there! Then create a one-page document showing the “before and after”. Let’s say you were working on improving the company’s sales process. Maybe the company was converting 29% of leads into customers before you started working, and you improved it to 33%. Those are your “before and after” stats. It doesn’t have to be sales-related, it can be anything you’ve improved for your previous employer. Consider creating another document highlighting exactly what you’ll do for this company if they hire you. How will you use your skills, experience, and expertise to help them reach their goals? What value will you add? What can you do for them within the first 90 days? Lay out what goals you hope to accomplish in the first 30 days, 60 days, and 90 days. Be realistic, but ambitious. You don’t want to sound like you’re over-confident, but you want to show them you plan on working hard when you start this job. Just by showing up with this plan, you’ll stand out in the interview. Most job seekers are not doing this. Most people know you should ask questions in an interview, but very few job seekers realize how important it is. Employers really do judge you heavily based on this. They want to hire somebody who’s being selective in their job search and really knows what they want! And the only way to show them this is to ask a lot of questions. How can you be sure this job is the right fit for you if you don’t ask many questions? I’ll repeat it again: Employers want somebody who’s being picky and looking for specific things in their next job! (And they’re NOT looking for somebody who appears to just want any job they can get). So asking bad questions, or not enough questions, is one of the top reasons people struggle to find a job. Ask questions about the job, the training you’ll receive, the group, the company overall, and more. Avoid asking about salary, benefits, working hours, vacation time, or anything that’s not work-related! You want to seem like you’re focused on coming in and getting up-to-speed in their job when you ask questions. Here’s a list of 105 of the best questions to ask in an interview, to get you started. And if you’re talking to a recruiter, here are some good questions to ask a recruiter. Your body language is super important if you want to stand out and leave a great impression in your interviews. People judge you visually before anything else; it’s just human nature. And the hiring manager or interviewer is going to gather their first impression of you within a few seconds of meeting you. This isn’t just about the first impression either; this will affect how they react to everything you say in the interview. If you’re sitting up straight and maintaining good eye contact while giving interview answers, it’s going to give you a huge boost. Whereas if you’re glancing down or to the side while talking, and slouched over, your answer will be less impressive even if you said all the right things! Try to walk in looking like you’re confident and happy to be there, not terrified or anxious. Keep a soft smile on your face like the image above. Dress for success, maintain eye contact, and sit upright. Lean slightly forward to show interest. Don’t tap your feet, grind your teeth, tap your hands, or anything else that’ll distract from the conversation. This all takes practice, so make sure to build these habits BEFORE your interview. If you need help building and practicing these habits, here’s a full article on body language tips. After the interview, you’ll want to follow up and thank them for their time, reaffirm that you’re interested in the position, and tell them you’re eager to hear feedback and information about the next steps. I recommend doing it the day after your interview, or Monday if your interview was on a Friday. Also, customize the email so they know it’s not just a cut-and-paste email you send to everyone. You should have at least one place where it’s clear you didn’t just copy and paste it. One easy way to do this: Thank them for sharing information about a specific topic they discussed with you – something that you found interesting. You can get full thank you email templates in this article. Once you realize an interview is just a conversation, it becomes a whole lot easier. The interview is simply a conversation between two sides, to see if it’s a good potential match. Yet most job seekers don’t view it like this and don’t treat it like this. They walk in nervous, they view themselves as being inferior to the hiring manager… like a subordinate, and they lack confidence and calmness because of it. Walk in and view yourself as an equal to the interviewer. You both have things you’re looking for, to determine if this is a good potential match, and you should both be asking questions and having a discussion to find out if it’s a match or not. Once you treat it like this, everything else becomes far easier, and you’ll feel completely different in every interview you go on. If you follow the 8 strategies we’ve covered above, you’re going to stand out in your job interviews and get more job offers.